FLORIDA – May 2018 – In a record-breaking year that saw national charter public school enrollment surpass 3.2 million students for the first time, Florida is joining states across the country in celebrating National Charter Schools Week, May 7-11. Florida’s charter school movement – which serves more than 270,000 students – is committed to producing student results, practicing innovative academic approaches, and providing families with high-quality educational options. Florida’s charter schools have helped raise student achievement, close the learning gap, and raise graduation rates. A Florida Department of Education (FLDOE) report – Student Achievement in Florida’s Charter Schools: A Comparison of the Performance of Charter School Students with Traditional Public School Students –shows that charter schools are helping students succeed and, in many cases, outperform their peers attending district-run schools. In 65 of the 77 comparisons, charter school students demonstrated higher rates of grade level performance – scoring a 3 or better on the state assessments; and the percentage of students making learning gains was higher in charter schools in 82 of the 96 comparisons. 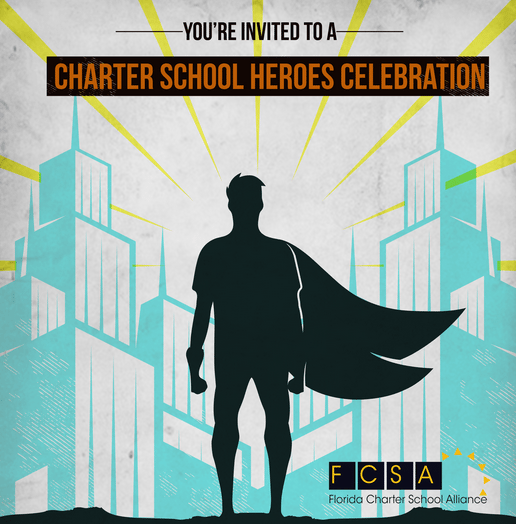 To celebrate charter school successes and their dedicated educators and the families they serve, the Florida Charter School Alliance, a non-profit charter school support and advocacy organization, is holding three Charter School Heroes recognition ceremonies during National Charter Schools Week. Mater Academy’s Class of 2018 graduates and Gates Scholars. The event at Mater Academy Charter Middle / High will celebrate the school’s history of raising student achievement – especially among minority students, and their impressive graduation rate, dual enrollment program, and college acceptance rate. This May, 100 seniors will graduate from Mater having already earned a 2-year college degree thanks to the school’s strong dual enrollment program. Seniors have been accepted to a number of universities include Harvard, Wellesley, and Stanford, and have earned a number of prestigious scholarships from CocaCola, Ford Salute to Education, and Burger King to name a few. 300 seniors nationwide were named Gates Scholars — seven of those are Mater Academy students. That scholarship covers the full cost of college attendance that is not already covered by other financial aid and the expected family contribution, as determined by the Free Application for Federal Student Aid. 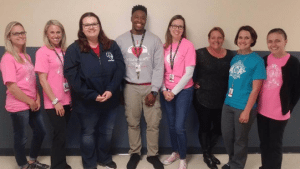 Eight teachers at Winthrop Charter were recognized by the Florida Department of Education for raising student achievement on the state assessment exams. 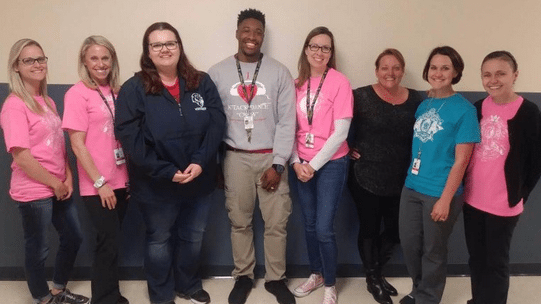 Congratulations to Mrs. Jarosh, Ms. Fiala, Ms. McClellan, Mrs. Seace, Mrs. Guzan, Mr. Haynes and Ms. Grear! We are recognizing teachers and administrators at Winthrop Charter School in Hillsborough for continually earning high marks in the state’s assessment, raising student academic performance and closing the achievement gap. Winthrop also received School of Excellence status from the State Board of Education – a designation given to schools that earn a school grade in the 80th percentile or better for at least two years in the last three years. The event at Glades Academy, a K-8, will celebrate the school’s improved Math and Language Arts achievement scores and its high rank among the most-improved schools in Florida. Glades Academy also raised its school grade by two-letter grades in 2016-2017. “Charter schools have been an integral part of Florida K-12 public education system for over 20 years. Over those two decades, public charter schools have helped transform communities – raising student achievement and graduation rates. Charter schools have also empowered parents – making quality education options available to all families, regardless of zip code or financial means,” says Governmental Affairs Director Ralph Arza. “We celebrate National Charter School Week by highlighting the academic strides charter schools are making, thanking the dedicated principals and teachers at our schools, and pledging our continued support to the students and families we serve,” added Executive Director and charter school parent, Lynn Norman Teck. Bonita Springs Charter School girls lead the way building teamwork, community serve and self-respect.